It'd been a while since I'd done the tasting menu at Alter, Brad Kilgore's flagship in Wynwood. (Full set of pictures in this Alter - October 2018 flickr set). A visit a few months ago reminded me that this remains, in my judgment, the best meal you can find in Miami. 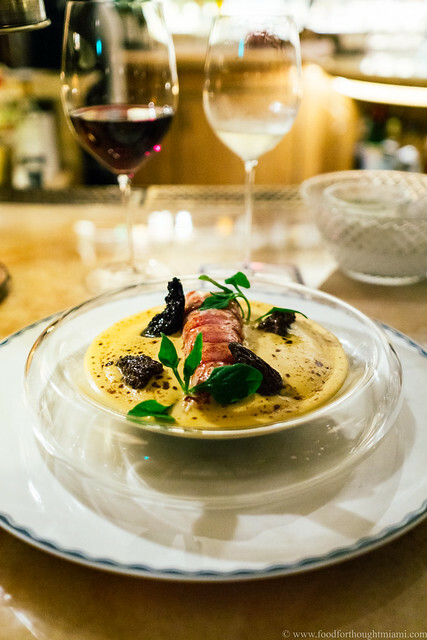 The menu at the time of my visit was a mix between some "classics" from the restaurant's early days – the grouper with black rice and shoyu hollandaise, the signature soft egg and scallop mousse – and some newer ideas. Many of those new things showed a Mexican influence, like pork cheeks al pastor draped in a veil of corn froth sprinkled with huitlacoche, black bean and chile powders. 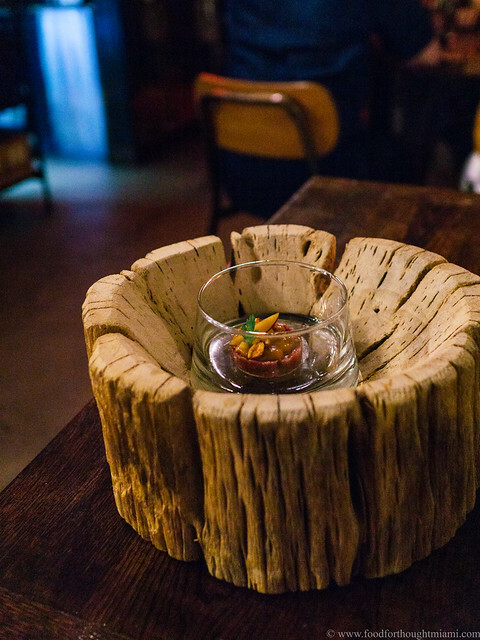 That was delicious; even better was this silky beef tartare bound with a mole cured egg yolk, paired up with cactus and cacahuates (spiced peanuts), presented in a dried agave trunk. Itamae already made one appearance in Part 2 of this list earlier. I was back for more later – and it is back on this list another time too, again for a daily tiradito special. The Chang Gang called this one their "tiradito del mar" – ribbons of fatty raw hamachi and firmer octopus, nuggets of crispy fried corvina jalea, plus avocado, choclo and cancha, all awash in a leche de tigre which got its start as chupe, the rich, creamy, intensely oceanic Peruvian seafood stew, with some pockets of sarza criolla for one more element of piquant contrast. Many Peruvian restaurants, in South Florida anyway, take this sort of Lego-like approach, where dishes and their components come in a seemingly infinite variety of interchangeable combinations. But none are doing it with more interesting and delicious results than Itamae. Sometimes it takes an outsider to find unique and interesting uses for the things we've grown so accustomed to seeing. 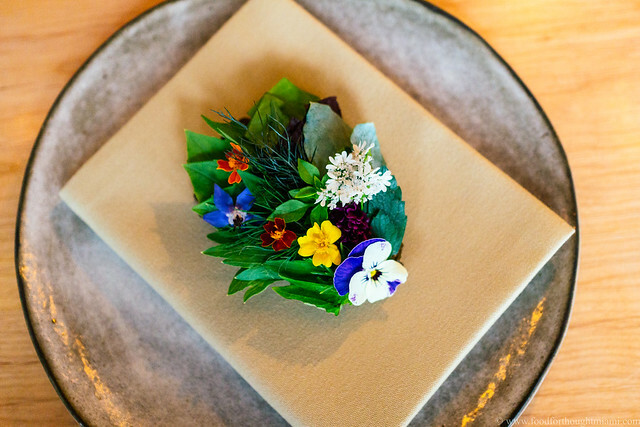 Chef Jose Ramirez-Ruiz opened Semilla, a tiny, vegetable-forward Brooklyn restaurant, in 2014 after putting together a lofty resume working at some of New York's best restaurants, like Per Se and Chef's Table at Brooklyn Fare. 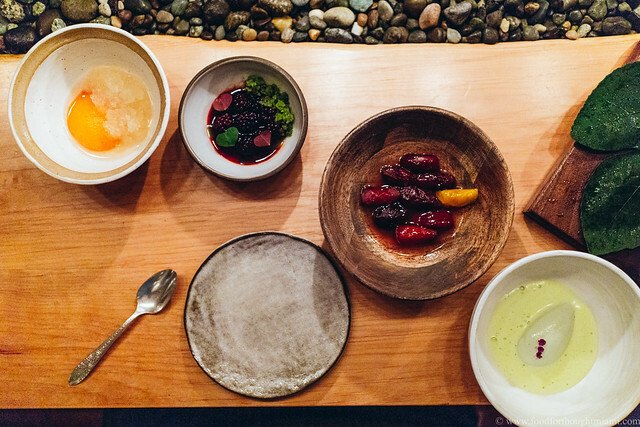 Semilla had a loyal and passionate following, and picked up a Michelin star a year after opening, but closed in 2017. In a stroke of good luck for Miamians, Ramirez-Ruiz made his way down here, and has been doing consulting work while contemplating the next step. We got a bit of a preview of what that might be when he did a two-night pop-up in December at All Day, Camila Ramos' wonderful downtown coffee shop. 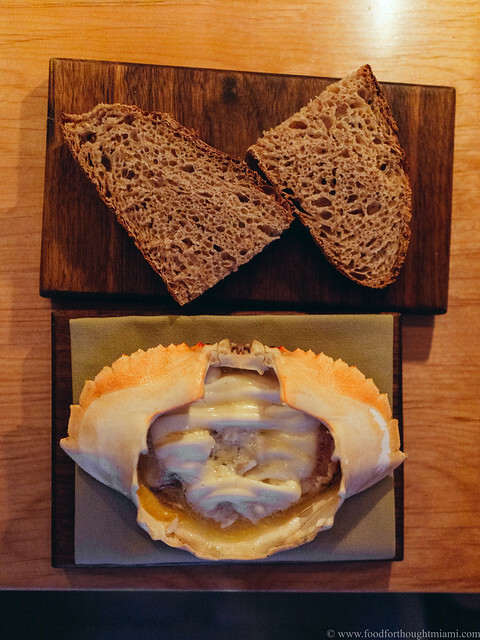 The menu was designed to be like those natural wine bars that have been all the rage in Paris, a place where you can pop in and grab a couple glasses of funky wine and a couple plates of funky food. But given this was just a temporary window of opportunity, I made my way through about two-thirds of the menu in one brief sitting (more pictures in this Jose Ramirez-Ruiz @ All Day flickr set). And it was one of the most interesting and inspired meals I've had in Miami all year, using local products like plantains, betel leaves, and tropical fruit in ways I haven't seen before. 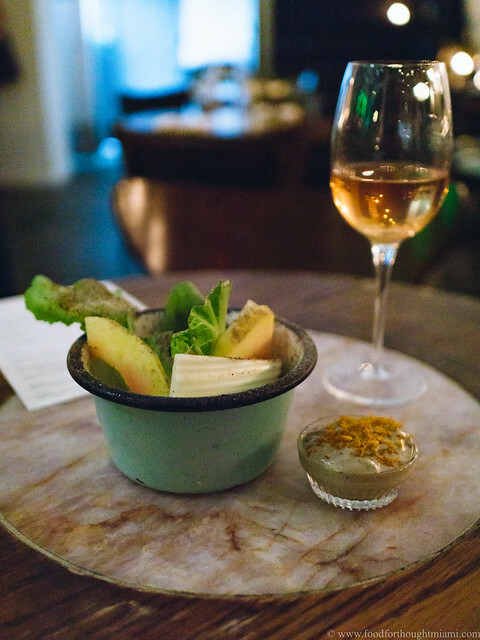 It feels kind of weird to say this, but one of the standouts was – a crudites platter? I didn't expect that, and that's exactly why it stood out. Ramirez-Ruiz took a bowl of fresh local vegetables – crisp, fresh greens, radishes, Hakurei turnips and the like – threw in slices of crunchy green papaya just starting to show a blush of pink, dusted it with some magical spice, and served it with a dark, creamy smoked eggplant dip given a generous dusting of bottarga (shaved dried mullet roe, a wonderfully flavorful product that can be sourced from the Gulf Coast but which rarely is seen on menus). It was a combination unlike any I'd had before but all somehow made sense. 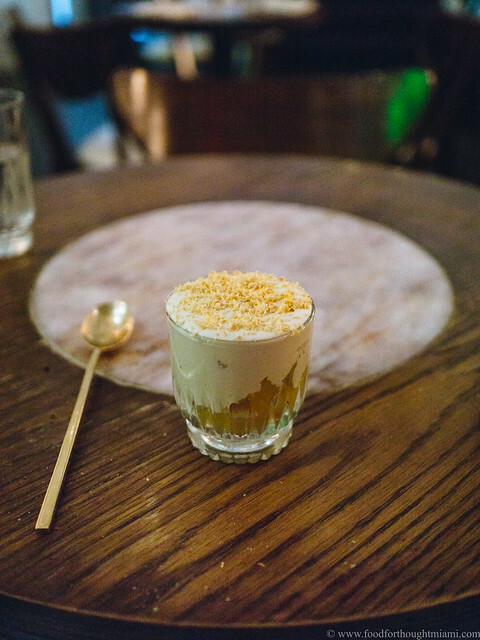 His trifle dessert had the same impact: an unexpected and unorthodox use of local ingredients that still felt natural instead of contrived. Subtly sweet and tart chunks of local star fruit; a sneaky umami bass note from kombu-infused cream; a dusting of white chocolate shavings for creamy sweetness. Very cool. Michael Beltran's Ariete in Coconut Grove just celebrated its third birthday. Over that time, it's grown into one of my favorite Miami restaurants, a place that does things right. Beltran buys from local farms and suppliers – places like Swank Specialty Produce and Bee Heaven and Michael Borek Farms – and actually highlights their products instead of just name-checking the source. 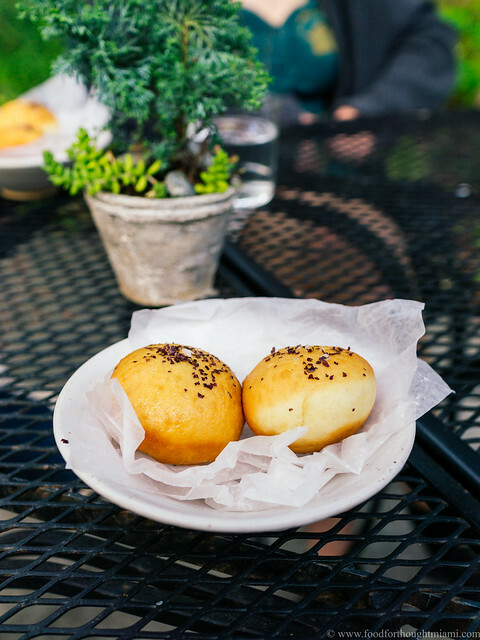 He does things by hand and from scratch, like the charcuterie program and a whole side-line of unorthodox pastelitos under the name "Pastelito Papi." 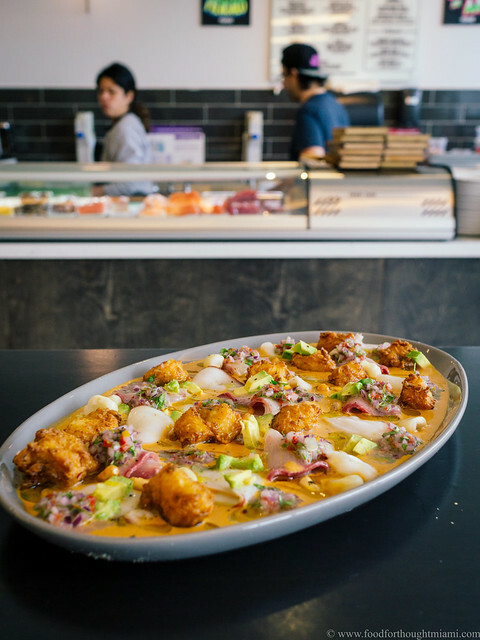 He weaves a subtle Cubano narrative throughout the menu, where fritas and croquetas and maduros show up next to seared foie gras and venison steak Diane. Our most recent meal there in December was the best yet. I loved a salad of local heirloom beans, slivered and dressed in an orange vinaigrette with star fruit, ricotta salata, pumpkin seeds, and some absolutely gorgeous and delicious castelfranco radicchio from Swank. 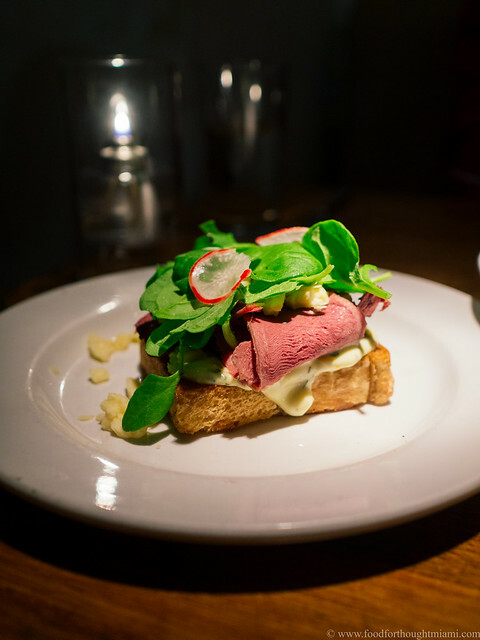 But I loved even more this tartine of tender, rosy smoked beef tongue, served on a Texas toast sized slab of country white bread, generously dressed with sauce gribiche, enriched with some crumbled white cheddar, and then crowned with some perky local greens and radishes. It usually takes me a few months (or more) to find my way into the latest openings, but we managed to squeeze in an early visit to Brad Kilgore's newest spot, Kaido, a few weeks after its debut during Art Basel week. The loosely Japanese-inspired combination cocktail and dining lounge is, as they say, a stone cold stunner, with the main bar glowing with blue light and a thousand butterfly knives glinting somewhat menacingly down from the ceiling. We ate in the Ama bar, accessed through a secret entrance, and ultimately slated for use as the venue for an omakase – sorry, Ama-kase – tasting menu. These kind of cocktail-focused places often treat the food as an afterthought, but that isn't going to happen if Brad is running the kitchen. And everything we had was really delicious, including a sashimi of fatty hamachi with citrus ponzu and chile vinegar, grilled enoki mushrooms basted with umami butter, and an outstanding take on tori negi (robata grilled chicken with melted leeks). But there's one particular item on Kaido's menu that's already destined to become a signature dish: Kaido's uni fondue. 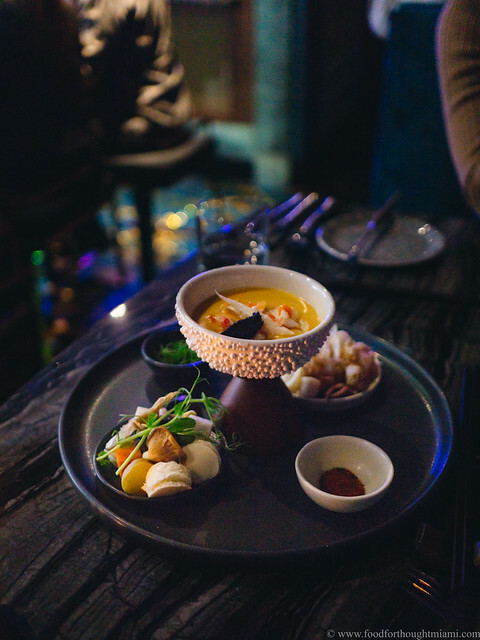 A molten, creamy sauce infused with sea urchin and aged parmesan cheese arrives at the table in a bowl along with a miscellany of things for dipping: scallops, shrimp and squid, an assortment of vegetables, puffy little buns. 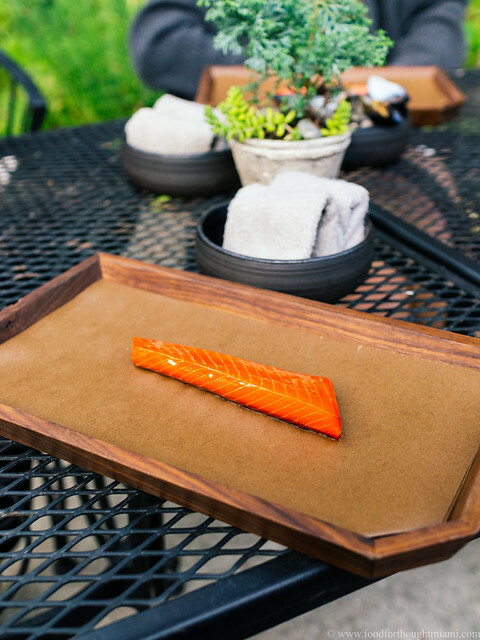 There's some togarashi powder and slivered scallions to further adorn your little morsel after it emerges from a dip. You can further gild the lily by adding king crab and/or caviar to the fondue. It was one of Daniel Boulud's three favorite things he ate in 2018. It was one of my favorites too. Many thanks to the countless people who fed me so well over the past year, and best wishes to all for a happy, healthy and rewarding 2019. We saw smaller versions of these shells washed up among the pebbles on Sunset Beach, picked clean by the seagulls. I think that's where the kombu made its way into the trifle, anyway. That butter is borrowed from the bread and butter service at Alter. Boulud also included the lobster thermidor at the Surf Club, which is here on this list as well. Me and Boulud, we're just the same, really.